Born in Sarnia Ontario on December 11th, 1917. Roy was the "old man" of the crew at the age of 27. Roy was a graduate of Western University where he was a star player with their championship football team. He went on to play professional football with the Toronto Argonauts before volunteering for the war. In high school Roy had excelled in a number of sports including track and field, gymnastics, football and boxing. Roy was not big in stature, but his strength, agility and ability the react quickly to situations would prove to be beneficial in his role. The pilot was the "quarterback" of the team. He received information from the other members of the crew and used it to try and complete the mission and to get the crew home again without injury. He was the person that made the call to "bail out" if conditions warranted it. He was also trained in navigation in the event that something happened to the navigator. Early in the war, the pilot was the navigator, but it did not take long to realize that it was too difficult for one person to do both jobs. The pilot needed to be fearless because night after night he had a ringside seat to everything that was taking place around him, both in and outside the plane. Crew selection was made at No. 24 OTU in Long Marston, England early in 1944. Roy and his crew were based at Middleton St. George and flew 32 missions between June and October 1944. He in addition completed two sorties as 2nd. Pilot for a total of 34 ops. 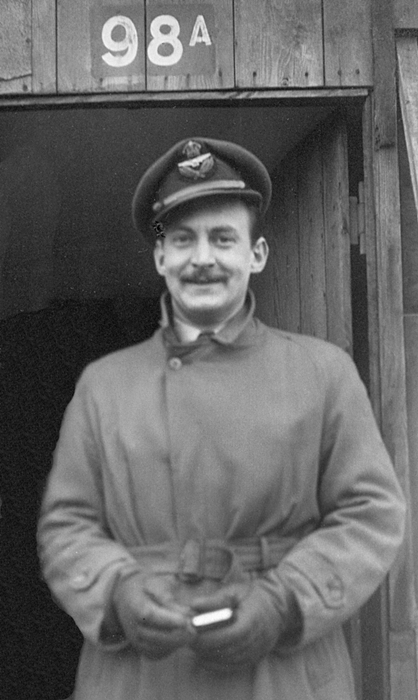 during his time with 419 Squadron. Although the crew had several close calls, they all avoided serious injury. 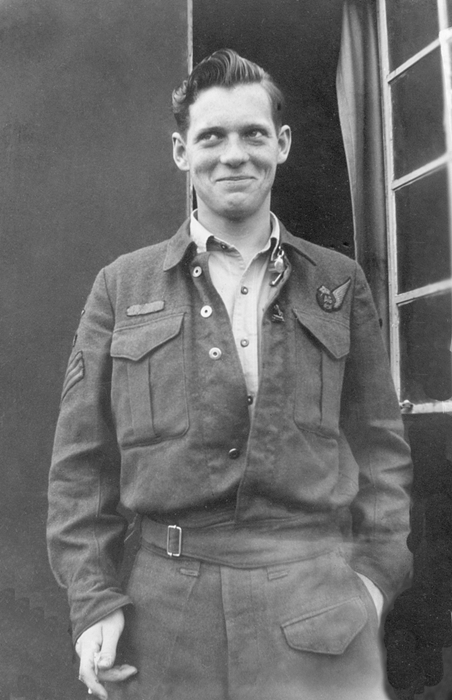 Roy was awarded a Distinguished Flying Cross for his actions on one of their missions. Born in Sarnia Ontario on August 20th, 1921. Bill had finished high school and was working at the Imperial Oil Refinery when the war broke out. He was one of the "married" members of the crew. Bill was always good on mathematics which helped him in his role as Navigator. Behind the pilot and flight engineer, the navigator worked in a curtained off compartment so that the lights he required would not give away the position of the Lancaster to enemy fighters. Few navigators had the time, or the inclination, to leave their station during a raid. They were constantly plotting the aircraft's course and making adjustments for wind and other factors. Navigators directed pilots to their destination and then back home again. If a navigator was not incredibly precise, the bomb aimer would miss his target. As electronic navigational aids developed during the war the navigator's work load became even greater. Navigators needed to be trained intensively in navigational rules, calculations and measurements to such a degree that they could pinpoint the position of the aircraft without any external aid, also known as dead reckoning. As the war progressed, so did navigational technology. Radios and astral observation were used to assist the navigator in his duties. However, since electronic devices could be interfered with and the stars are not always visible, dead reckoning was never replaced. 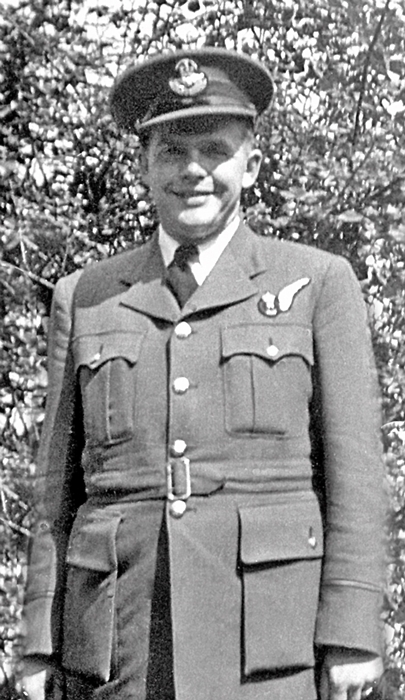 After receiving his initial training at Manning Depot (#1 ITS) in Toronto, Bill was posted to #5 Air Observation School in Winnipeg Manitoba in April 1943. Upon completion of his Navigator training in August 1943 he was sent to No. 1 "Y" Depot in Halifax, NS to await posting overseas. He was initially posted in Bournesmouth England before being sent to No. 2 Advanced Flying Unit in Millom, England in November of 1943. In January of 1944 Bill was posted to No. 24 OTU at Long Marston, England. This is where he was selected to be a member of the Roy Kent crew, who was also from Sarnia, ON. In April 1944 , he was posted to No. 1666 HCU and finally to Wombleton for commando training. In May of 1944 the crew was assigned to the 419th squadron at Middleton St. George. 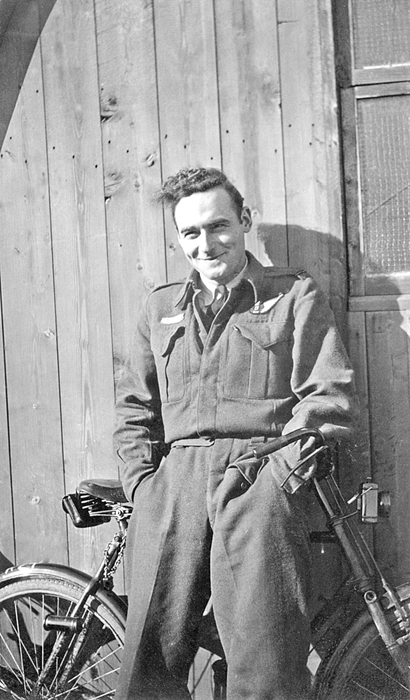 Bill flew 32 operational missions with the Roy Kent crew from June until October of 1944. Born in Callender Ontario on July 27,1922. Fred was brought into the world with a spoonful of whiskey by Dr. Dafoe who also delivered the famed Dionne Quintuplets. Fred's mother was 17 years old when he was born and he was not supposed to live through the night. Fred and his mother lived in a converted chicken coop for many years. Fred had gone to pilot training, but like so many young men (only 1/3 made it through) did not make it and was diverted to bomb aimer training. The bomb aimer's compartment was situated in the front of the aircraft at a level below that of the main cockpit. Lying on his stomach and looking through the bombsight out the large perspex blister, the bomb-aimer would guide the aircraft to the target and release the bomb load. As well, the bomb-aimer was responsible for operating the front gun turret positioned directly above him, although this was not necessary on most operations since attacks from enemy planes usually came from behind or underneath the aircraft. Fred was selected by Roy Kent at No. 24 OTU in Long Marston in the first part of 1944. Roy said he selected him because he had had some pilot school experience and he felt that if something happened to him as pilot, Fred might be able to fly the plane and get it back to England. Fred was a member of the Roy Kent crew stationed at Middleton St. George. He flew 32 operational missions between June and October 1944. Born in Stratford Ontario on September 4th,1921. Jack was forced to drop out of school to support his family when his mother died. Jack enlisted after his older brother (who he said he idolized) enlisted and also became a radio operator. Sadly his brother was killed in the war when Jack was still in training. His younger brother also enlisted and survived the war. Jack was engaged to be married when he began his training. The wireless operator's station was just in front of the main spar, in the rear part of the cockpit section. In addition to his official duties related to the radio equipment, the wireless operator was also expected to have a working knowledge of the navigator's equipment, understand the aircraft's electrical and intercom systems, and administer first aid as necessary. As well, he was generally on duty in the astrodome in the event of contact with enemy fighters over the target. The astrodome was a dome shaped piece of perspex which protruded above the aircraft's fuselage in order that the navigator could take star shots. Jack was selected to be part of the Roy Kent crew at No. 24 OTU in Long Marston, England in early in 1944. Jack and the Roy Kent crew were posted at Middleton St. George and flew 32 operational missions between June and October 1944. I do not know much about Jack Ellis as he was from England. 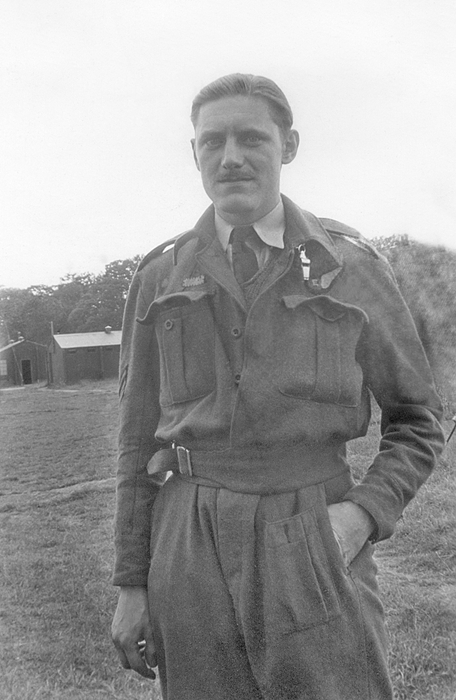 Until late in the war, most of the Flight Engineers were from England. 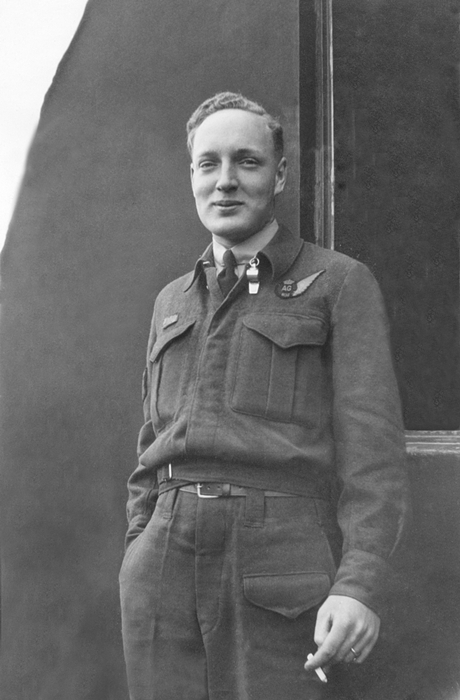 Roy Kent visited Jack and his family right after the war, but then all contact was lost with him by the rest of the crew who had returned to Canada. Seated beside the pilot on a seat which was hinged to permit crew to travel to and from the bomb aimer's compartment in the nose of the aircraft was the Flight Engineer. He assisted the pilot on take-off and landings by handling the throttles. In flight he was constantly checking his panels to monitor oil, fuel and pressure gauges to assess engine performance and fuel consumption from the Lancaster's six wing tanks. Although Flight Engineers were generally trained to fly the aircraft "straight and level" they had no formal pilot training and hoped that they would never have to try to land the aircraft. Jack was assigned to the Roy Kent crew at No. 1666 HCU in Wombleton, England in April 1944. Jack and the rest of the Roy Kent crew were posted to the 419th squadron at Middleton St. George. He flew 32 operational missions with the crew from June to October 1944. I do not know much about Forbes other than he was a childhood acquaintance of Lee Morgan and was not married. Lee Morgan first met Forbes Moon (Tim) in the fall of 1938 when Lee moved to Highland Creek. They became good friends and spent a lot of time fishing and hunting together as teenagers. 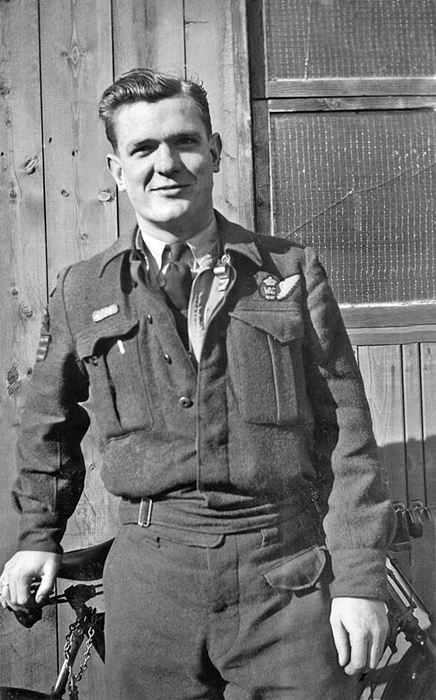 When Lee moved to Toronto in 1940, the two kept in touch but Lee did not know that Tim had joined the RCAF until they met in pre-flight training in Quebec City in August of 1943. Because their last names were alphabetically close together, Forbes and Lee were assigned to the same training locations in Canada and overseas. Since the Whitley bomber only had a rear gun turret, they did not get to fly together until the crews first leaflet mission to Paris. Tim was an excellent gunner having exceptional grades in school and was an excellent shot. Lee Morgan (tail gunner) told me that during an attack by an F190, Tim saw it coming first from above and because of his alertness, the crew evaded the fighter which Lee later got credit for shooting down. Lee said "Forbes was the best and did not receive the credits he deserved. He will always be missed by me and no crew had a better gunner than Forbes. I will always think of him as my best friend." When they were not flying, Forbes and Lee spent their spare time touring on their motorcycles. Forbes Moon (Tim) was selected by Roy Kent to be part of his crew when they were at No. 24 OTU at Long Marston early in 1944. Roy selected him because his was at the top of his class in gunnery school. Forbes and the Roy Kent crew were posted to the 419th squadron at Middelton St. George. The crew flew 32 operational missions between June and October 1944. Lee Morgan was the youngest of the crew and was born on June 15th, 1925 in Amhurstburg, Ontario. His parents lived in the United States but had travelled to Amherstburg for his birth, since his grandfather was a doctor. Lee enlisted at the age of 17 and wanted to be a gunner. Both the rear gunner and mid-upper gunner were extremely vulnerable and in the coldest part of the aircraft. The rear gunner was the most dangerous position on the plane since most fighter attacks came from the rear and the guns on the Lancaster did not have the range of the cannons carried by the German fighters. Both gunner positions continuously scanned the night sky for enemy fighters from the moment of take off until the aircraft landed, sometimes ten hours later. Their most important contribution was to spot the fighter and instruct the pilot to take evasive action. When this occurred the fighter generally broke off the contact and looked for another bomber with a less alert air gunner. Lee was selected to be part of the Roy Kent crew at No. 24 OTU in Long Marston in early 1944. Roy selected him because he was at the top of his gunnery class. Lee and the rest of the Roy Kent crew were posted to the 419th squadron at Middleton St. George. He and the crew flew 32 operational missions between June and October 1944. Lee was awarded a Distinguished Flying Cross for his actions on two of their missions.